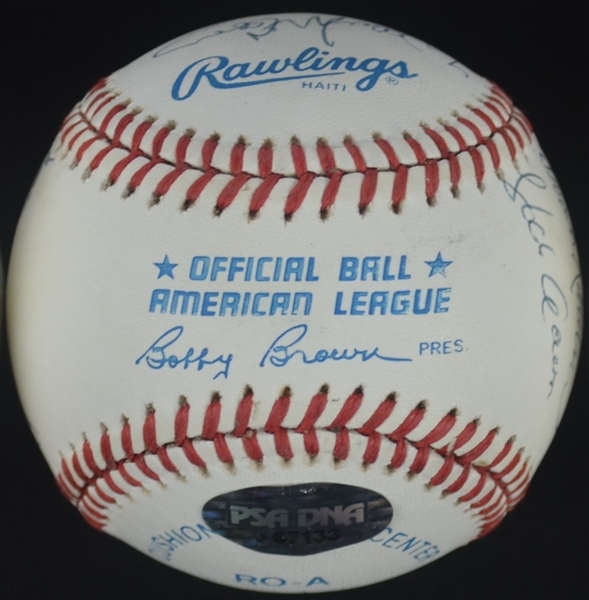 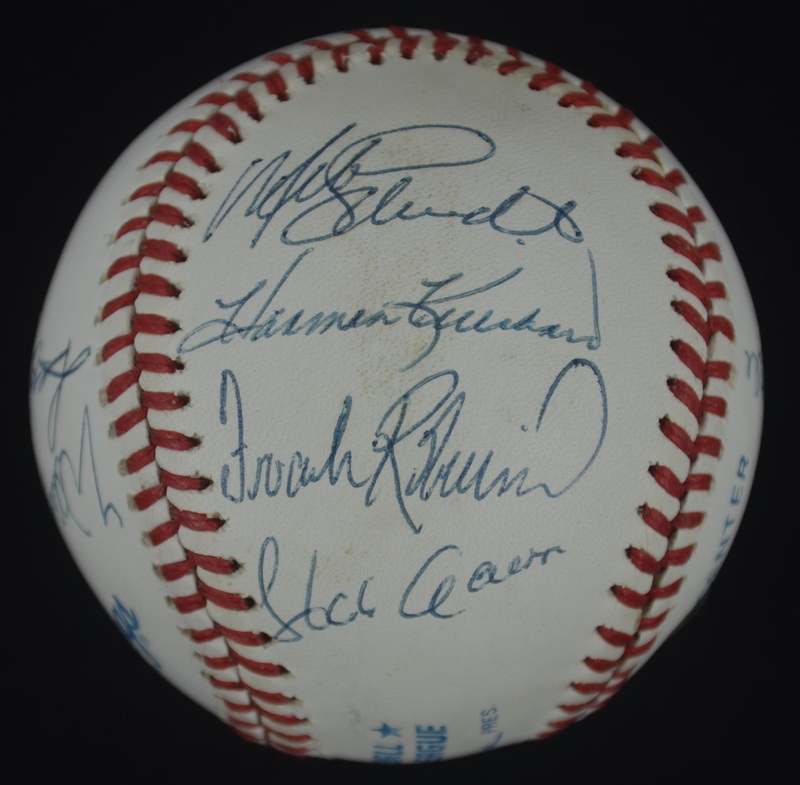 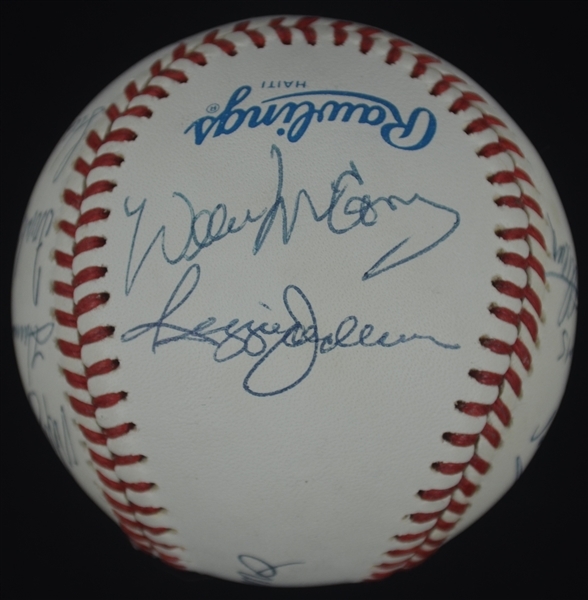 Official American League Bobby Brown (1984-1994) baseball signed by the 11 living members of baseball's elite 500 Home Run Club as of 1989. 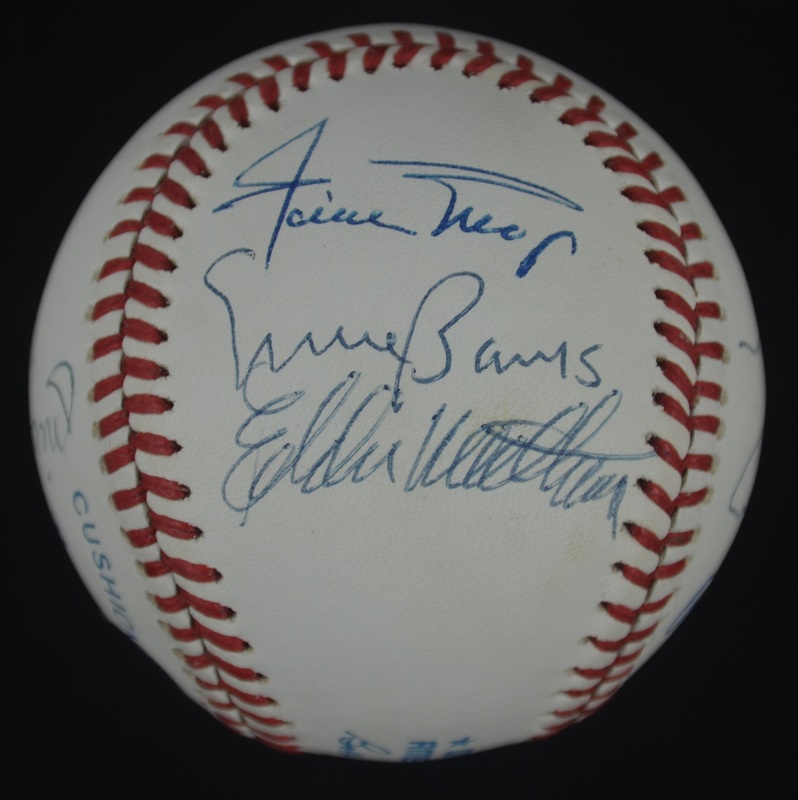 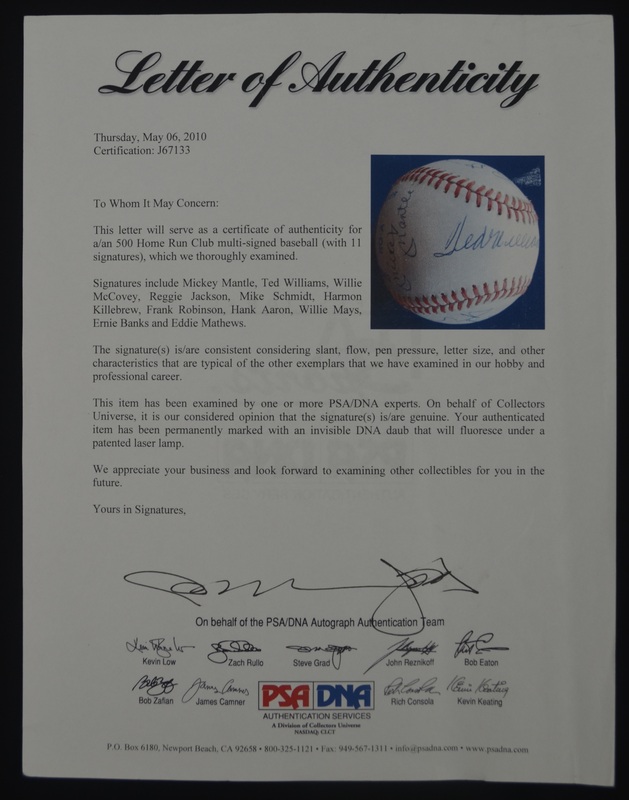 Signatures include: Mickey Mantle, Ted Williams, Willie Mays, Hank Aaron, Reggie Jackson, Ernie Banks, Harmon Killebrew, Willie McCovey, Eddie Mathews, Mike Schmidt and Frank Robinson. 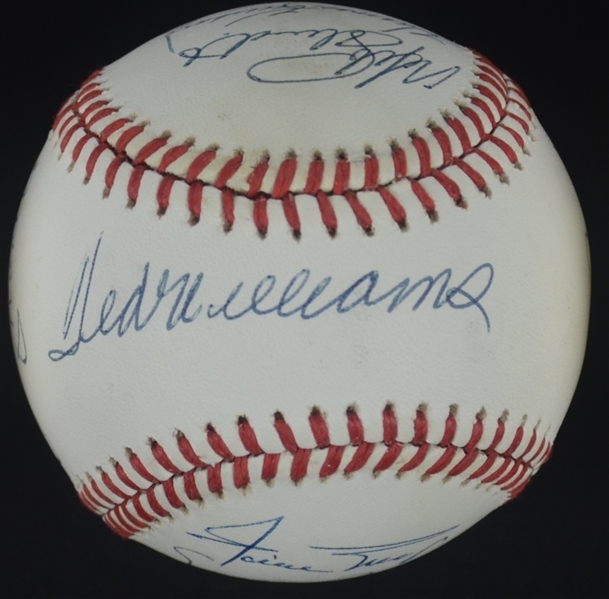 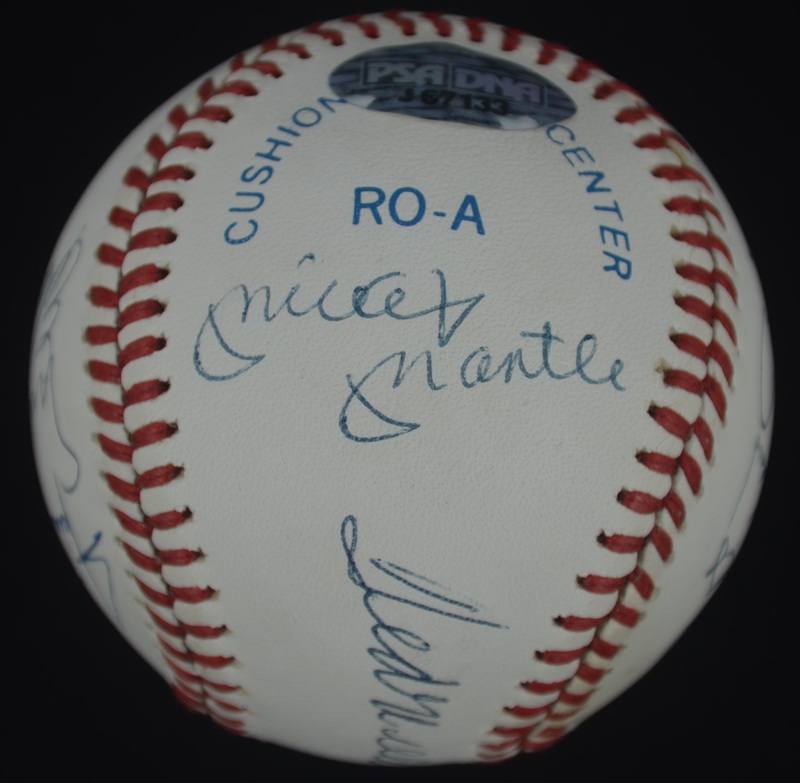 The ball and signatures remain in remarkably nice condition and has been preserved incredibly well. 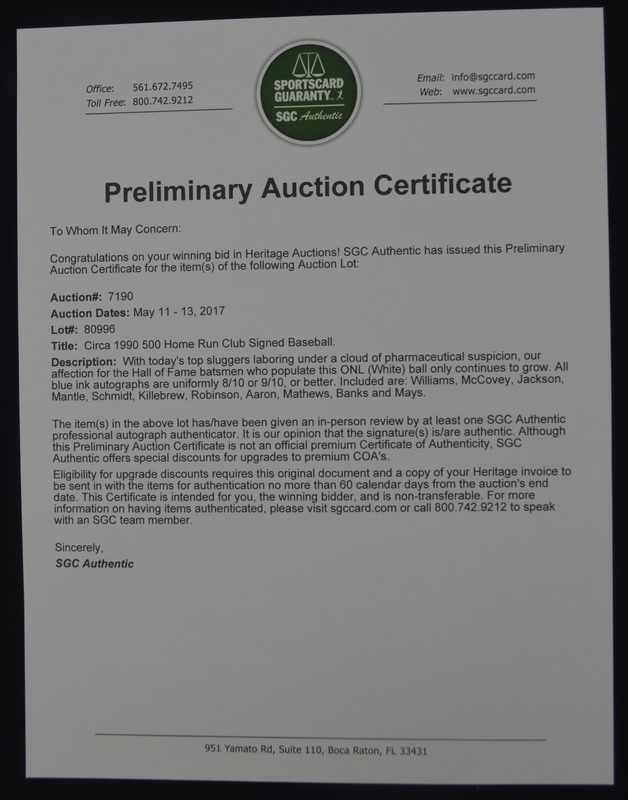 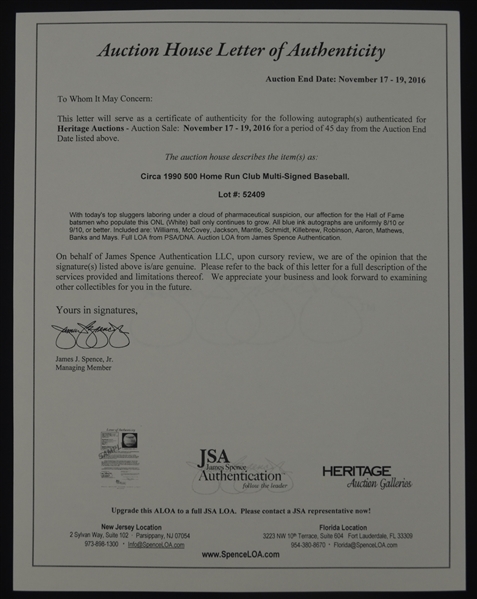 Accompanied by several forms of authentication including a full PSA/DNA Letter of Authenticity as well as Auction Letters of Authenticity from JSA/James Spence Authentication and SGC.